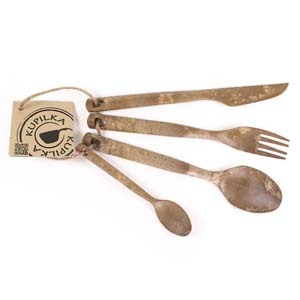 KUPILKA Cutlery set hangs easily along with a piece of string. It is amust for a special dining experience. KUPILKA products are made from Kareline® Natural Fibre Compositematerial. The biomaterial consists of 50% pine fibre (wood) and 50%thermoplastic. There are numerous benefits if you compare the composite material tonormal plastics. To name a few, they have better heat endurance and abetter durability thanks to their stiff structure. They also allow theuse of engraving techniques. If you compare the natural fibrecomposites to wood, the most important benefit is that the compositedoes not require maintenance. Also, it does not "absorb" smells and itis insensitive to humidity. KUPILKA products are also recyclable and can be returned to normalplastic recycling centres or grinded and casted again into new productsat the end of their life span. The material was developed by Puugia, the Centre for Wood Technology inJoensuu, Finland. 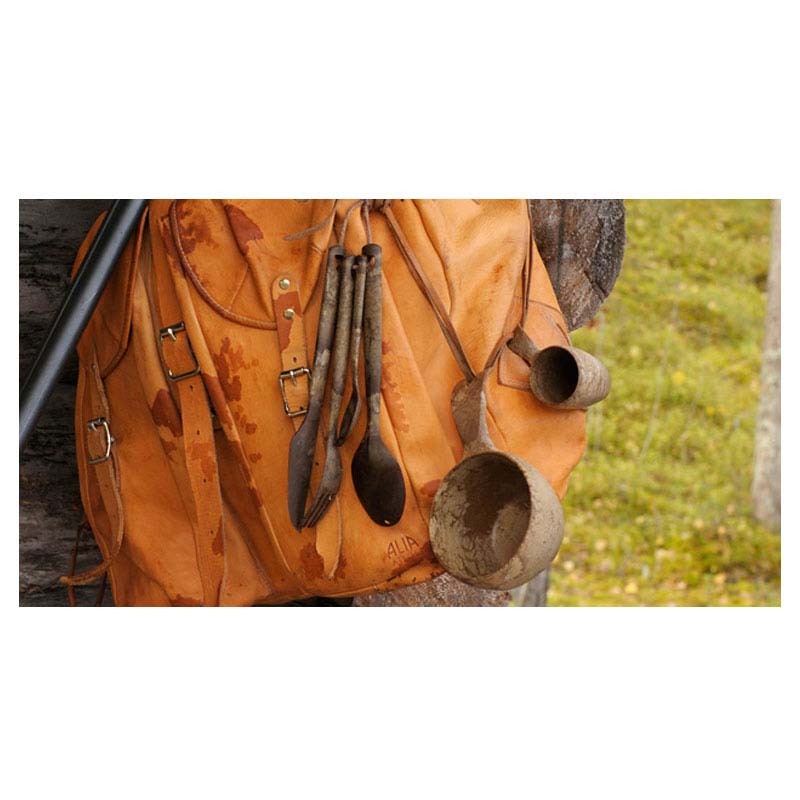 The material as well as the KUPILKA products aremanufactured by Plasthill Oy in the same region of North Karelia. Feels like it will last forever. You will need a sharp knife as well of course.